The Sapphire G10, although our most compact machine, is unrivalled in its class for speed, sensitivity and sophistication of detection. Designed for the food industry, the G10 is a versatile system offering inspections for packaged products such as confectionary, bakery, frozen and convenience foods as well as loose products such as raisins, nuts and dried fruit. Superior contaminant identification is achieved using Sapphire’s exclusive capabilities for high sensitivity imaging thanks to our expertise in low energy technology. In addition to contaminant check, your G10 will also check fill levels and confirm product integrity. This system is designed for simple and efficient operation, with easy user functions and a low cost making the Sapphire G10 the ideal entry level inspection system. 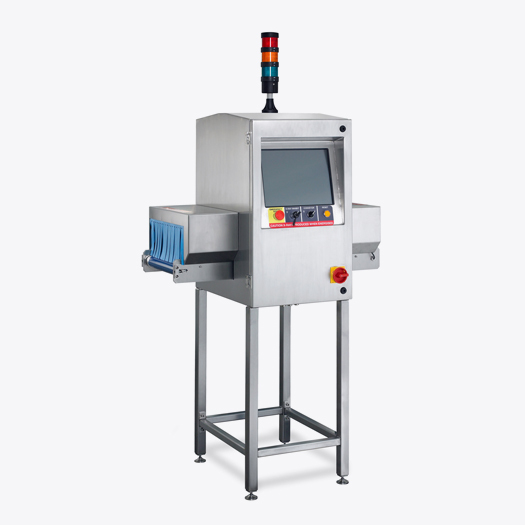 Compact but powerful x-ray inspection system. Inspects large product range including bulk flow. Quick and easy wipe down. Scans for missing and broken parts. Designed for food industry standards.